All sorts of wrong feelings run through my mind as I try to understand the life of the missionary. It is with good reason; I’m from America, and so are our dear friends, the missionary and his family. Because of this, I know some of what was sacrificed to make this move into a hardened poverty stricken land. My mind will not quit wondering, ‘Why here? Why would someone come to a place where even decent drinking water is a commodity?’ And in a moment of sheer honesty I question whether anything could cause me to subject my wife and child to these living conditions as the missionary has carried his into? As I transfer those words from my journal to this post I remember thinking I would never publish these words. I thought I would never want anyone, especially my friends in the distant land, to know I thought these thoughts. I believe that I need to now, for my sake, and possibly for others. As my mind is being trained to the wondrous grace of God, one of those acts of training includes correcting my twisted view of why we do what we do. See, when I question why the missionary would make such sacrifices I am asking the wrong question, or at least asking it wrongly. Hence, it is better explained with Jesus’ own words. The kingdom of heaven is like treasure hidden in a field, which a man found and covered up. Then in his joy he goes and sells all that he has and buys that field (Matthew 13:44). In this parable, a man simply comes upon a treasure, and joyfully sells everything to attain it. Nothing is mentioned in the parable of the man’s character, just that he is wise enough to see a treasure, and respond appropriately. I think the missionary does not make his decisions because he believes he is more virtuous or godly than other believers (his words and actions make this known) but because he believes he is improving both his and his family’s lives with his decisions. He believes he is making a reasonable and logical decision; one that anyone would make if the time were spent to evaluate what is being gained. In essence, he is simply living according to the words from Paul as he penned Romans 12. I entice for a sec with a couple of questions made much of by Chip Ingram in his book True Spirituality. What exactly does God want from me and how exactly do I give it to Him? I think the missionary and his family demonstrate the answer to these questions well by acknowledging that our God wants us from us, and that we give Him what He wants by surrendering ourselves to Him as a living sacrifice, but it’s not as though we are making some super ritually religious decision, rather, a logical one. And that is exactly what Paul declares. Because of what he has described in chapters 1 through 11, Paul now says it is only logical that we would offer our entire selves to God as a living sacrifice. The term Paul uses, often translated spiritual because of its affiliation with the Temple, is the Greek word logizomai, which literally means logical and reasonable. It is only logical and reasonable to the one who has found a great treasure to put forth whatever is necessary to possess it. 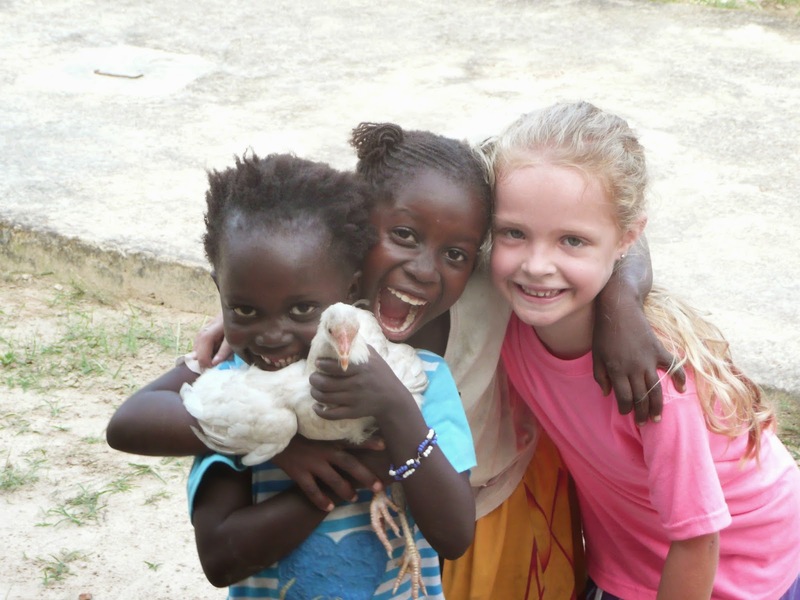 I watch with fascination as the missionary’s younger daughter becomes one of these she lives among. She is learning to do what we are all called to do, yet I fail so miserably at, even though it is not so difficult as her task in my hometown, for there is not such disparity there. The missionary and his family are unrealistically at home in this environment. I must highlight this journal entry for further meditation. They have found something of great value that I want to find too. 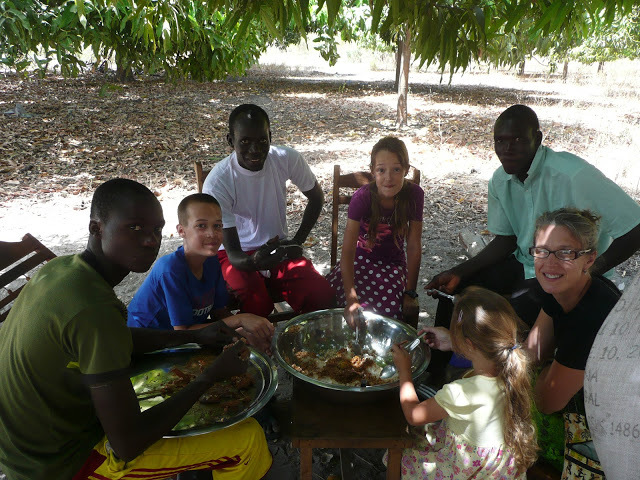 To find out more about the Boyd family ministry in Senegal, Africa, visit their website; All Senegal for Christ. This entry was posted in Mission Journaling and tagged Africa, Christianity, Great Commission, inspiration, Religion and Spirituality, Senegal. Bookmark the permalink. Thank you Mike. Very good. Preaching the Gospel and all that it actually entails makes no sense if making sense is the objective. I am reminded of the KJV, “the foolishness of preaching.” To the unenlightened soul who has not yet heard the call, the idea of missionaries and so many others doing things that are seemingly so hard, so difficult, so against the grain of tradition and comfort is simply non-logical. But when one first falls in love with God, then is blessed with a life’s work that is a labor of love, and then sees the fruit of that labor often involving bright new shiny faces of those being blessed by God through one’s involvement, the answer comes easily. It’s love, man. Love makes ‘em do it.